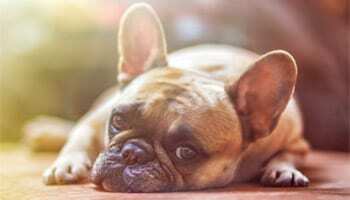 Today's leading experts discuss dogs safety and bite prevention. Legalities revolving around dog bites, dogs in the workplace, service dogs, therapy dogs, and emotional support animals. 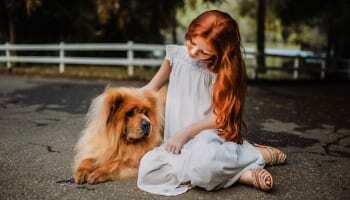 Dog safety and bite prevention around babies, toddlers, and children. 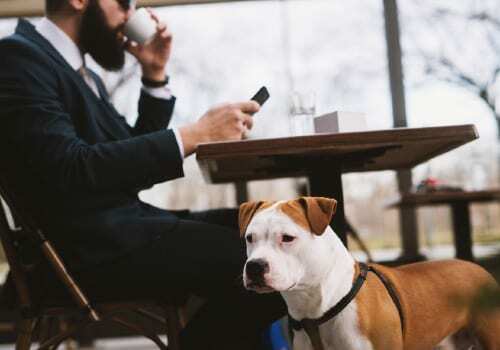 What every employer needs to know that has employees that come into contact with dogs during their work day or has dogs in the workplace. Plus: Don’t miss the exclusive offers to our webinar participants. Each webinar will have unique packages from Kim and our guests. Dr. Radosta is the owner of Florida Veterinary Behavior Service, a specialty practice in southeast Florida and co-owns Dog Nerds, an online educational resource for owners whose pets have behavior disorders. She lectures nationally and internationally for veterinarians, their staff and lay people. She has written book chapters for textbooks including Handbook of Behavior Problems of the Dog and Cat; Blackwell’s Five Minute Veterinary Consult, Decoding your Cat and Canine and Feline and Small Animal Pediatrics. 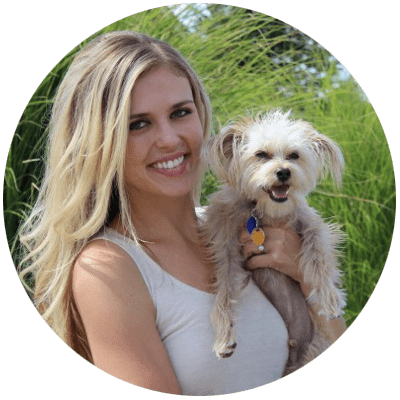 She is the coauthor of From Fearful to Fear Free, the ultimate guide for fearful dogs. 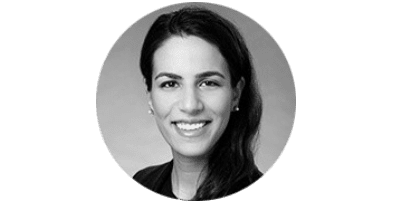 She has been interviewed for many publications including Cat Fancy, Dog Fancy, Palm Beach Post, NAVC Clinician’s Brief, Sun Sentinel, WebMD, AAHA trends, Real Simple, Good News for Pets, DVM 360 and AAHA News Stat. She has appeared on Lifetime television, Laurie Live, local news in southeast Florida, Mitch Wilder’s Amazing Pet Discoveries, Nat Geo Wild, Animal Planet, Steve Dale’s Pet Talk and Dogs, Cats and Scapegoats. She podcasts for VetGirl. 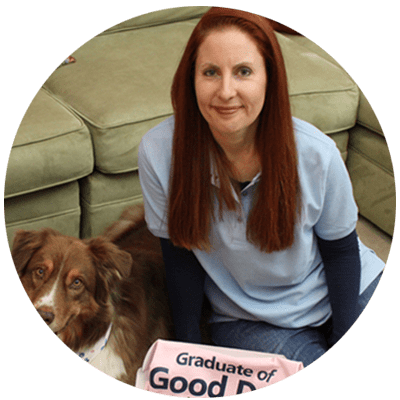 Jennifer Shryock is a Certified Dog Behavior Consultant (CDBC), owner of Family Paws™ LLC in Cary, NC and holds a degree in Special Education. Jennifer is also former VP of Doggone Safe a non-profit dedicated to dog bite prevention and victim support. Jennifer also has proudly served on the board member of the International Childbirth Education Association. A recognized expert on dog and baby/toddler interactions and safety, Jennifer has written and spoken extensively about these topics. Her two programs, Dogs & Storks® and Dogs & Toddlers™ have been featured in national media such as The Wall Street Journal, Martha Stewart LIVING along with many TV and radio appearances. 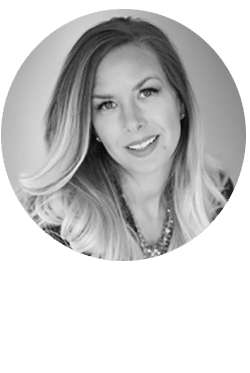 As a Mother, dog behavior consultant and teacher…Jennifer recognized a need for support and education for these families and began building resources for new and expecting families through her own business Family Paws. A consistent need for this specialized service led to the creation of the highly endorsed international program Dogs & Storks® for expecting and adopting families and then years later Dogs & Toddlers™, for families with babies 3 months of age and up. All of these passions and ideas have led to the creation of Family Paws™ Parent Education now offering programs all of the United States, Canada and beyond! 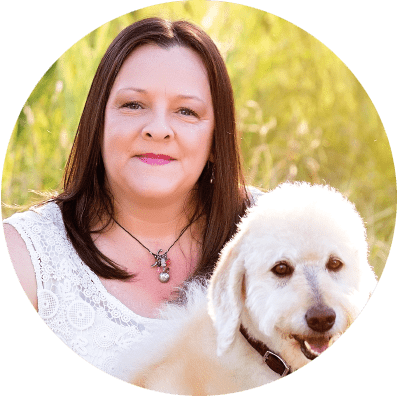 Jennifer has mentored and supported hundreds of dog trainers all over the world and continues to support families in her community and beyond. Jennifer lives in Cary, North Carolina, with her husband, 4 children, 2 dogs, and 4 cats. Mikkel Becker is the lead trainer for Fear Free Pets. She is a certified behavior consultant and certified trainer who specializes in work with dogs and cats. Mikkel is the co-author of six books, including the recent, From Fearful to Fear Free, and was the featured trainer on Vetstreet.com. In her professional work, Becker uses positive reinforcement and non-force based training strategies that are rooted in scientific learning theory. Mikkel is committed to helping pets and their people live better lives together through motivational, reward based training that’s closely partnered with the pet’s veterinary team. Melissa Winkle, OTR/L, FAOTA is an occupational therapist in private practice in Albuquerque, New Mexico. She is president of Dogwood Therapy Services and Animal Assisted Intervention International. She has been training service dogs for people with disabilities and training dogs for healthcare/human service providers for 18 years. Melissa uses positive reinforcement and humane, non-force based training methods. She is a practitioner, a researcher, and has authored 5 books, available on Amazon. She is a global speaker and consultant about Animal Assisted Interventions and for program development. 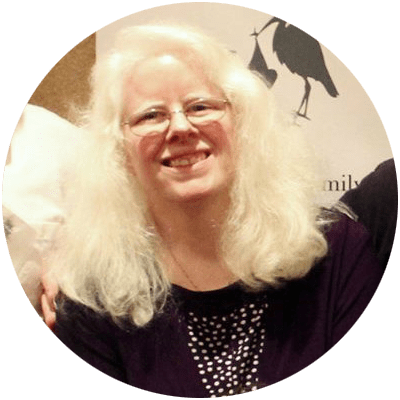 She is passionate about educating healthcare and human service providers about the advanced knowledge required to include AAIs in practice, and is an advocate for the dogs that work with them. Veronica Sanchez M.Ed. CABC, CPDT-KA, is the founder of the Cooperative Paws Service Dog Coach™ certificate program for dog trainers. She teaches pet dog trainers how to incorporate service dog training in their businesses. 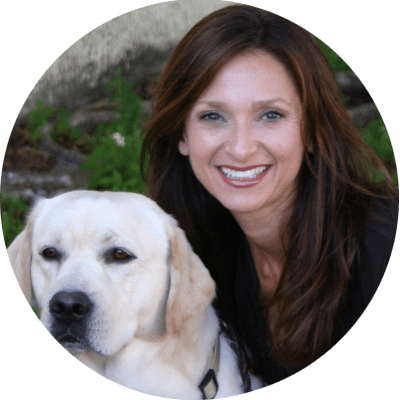 Veronica wrote the book, Service Dog Coaching: A Guide for Pet Dog Trainers, and is a frequent contributor to publications in professional organizations including the Association of Professional Dog Trainers, the International Association for Animal Behavior Consultants and the Pet Professional Guild. Veronica’s passion for service dogs is personal and professional. 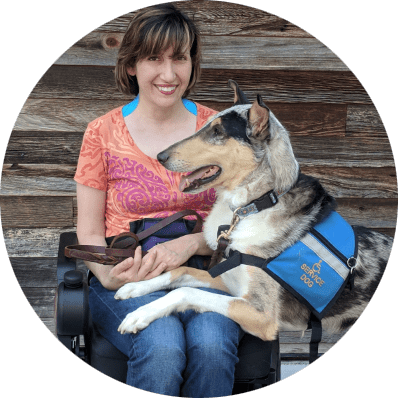 In addition to her experience training service dogs to help people with wide range of needs, Veronica has a disability herself, and she trained her own dogs to assist as service dogs. 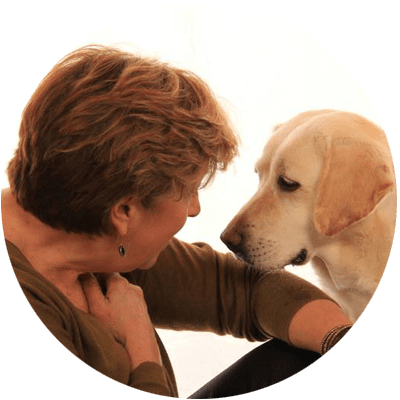 Cathy has more than twenty years of experience working with humans and dogs, in a variety of settings including hospitals, rehabilitation, business, education, training, and other settings. She’s been training dogs for more than fifteen years. 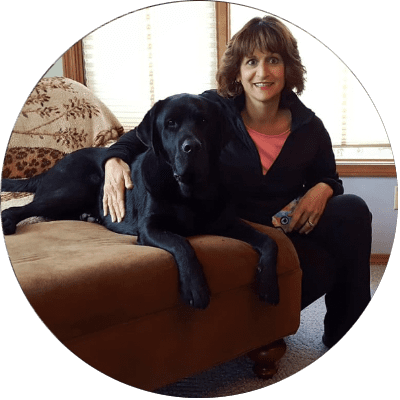 As the founder and head trainers at Dependable Dogs in Ann Arbor, MI, Cathy brings a unique combination of skills to working with clients. Most recently, Cathy founded Kids & Dogs Safer Together, a nonprofit that provides education programs and materials, with a focus on humane interactions to keep kids and dogs safer together in our communities. I’ve been the Owner and Director of Training for K9 Home Schooling since 1999, which provides force free/clicker training methods in southeast Michigan. My love of all things dog, began when I was a small child with my first dog, a collie named Candy. After raising my 3 children, I decided to pursue a career as a dog professional. I’m a nationally recognized Certified Dog Behavior Consultant and Certified Therapy Animal Consultant with the International Association of Animal Behavior Consultants (IAABC). Dog Behavior Consultants are required to demonstrate competency in five core areas including assessment and intervention strategies, counseling skills, behavioral science, knowledge of animal behavior and species-specific knowledge in order to obtain certification through the International Association of Animal Behavior Consultants. Therapy Animal Consultants have expertise in all areas of Animal Assisted Therapy including program development . I’ve completed advanced certification programs in canine behavioral studies and stay current by attending seminars by certified trainers, behaviorists, veterinarians and other credentialed experts. I teach companion obedience, specialized puppy programs, therapy dog training programs, charm school, outdoor adventures, socialization outings for puppies and adult dogs. I offer behavior consultations for puppies and adult dogs. I have 18 years of experience working with complex behavior problems and use science based methods and treatment plans. To support dog professionals in my area, I offer seminars and workshops for dog trainers, training groups, veterinarians, groomers, shelter/rescue workers, dog walkers and daycare workers. My passion for working as a Therapy Dog Team began in 2000 with my beloved labrador Leo. In 2003 I worked with staff members to develop and launch a Therapy Dog Program at St. Joseph Mercy Hospital in Chelsea called Paws-itive Comfort. The program has grown over the years and remains the most popular program for patients and staff. I coordinated and launched R.E.A.D. (Reading Education Assistance Dog) Programs at the Ann Arbor and Chelsea District Libraries as well as various Elementary Schools. Over the years I’ve been blessed with amazing Therapy Dog Partners, Leo, Faye, Enzo and Marshall. I work as a Training Consultant and Tester for various Service Dog and Therapy Dog Organizations. For the past 10 years I’ve worked closely with medical professionals and educators who utilize a Therapy Dog at their work place or in Animal Assisted Play Therapy. I’ve raised, trained and placed Therapy Dogs who work in medical facilities and private practices around the US. I’ve lived in Chelsea, Michigan since 2000 where I raised my family and now live with my husband John, Labrador Retriever Clark and Newfoundland Marshall.